Here at SG HQ, we want you to take risks…within reason. We didn’t push jogger pants on you until we were sure they were going to stick around awhile. Same with turtlenecks, and the color lavender. That’s why we feel confident today showing you how to wear cropped pants (or trousers). We’ve had nothing but love for this intentionally shorter trouser for awhile now, and we finally feel like it’s time to pass it on to you. Of course, we can see how you’d want to avoid a look that’s dangerously similar to the accidental high-water pants of the past, so we’ve got a few tips. First up? A purposeful fit. And by that, we mean a cropped pant or trouser with a slightly tapered leg and a rising hem between one to three inches. 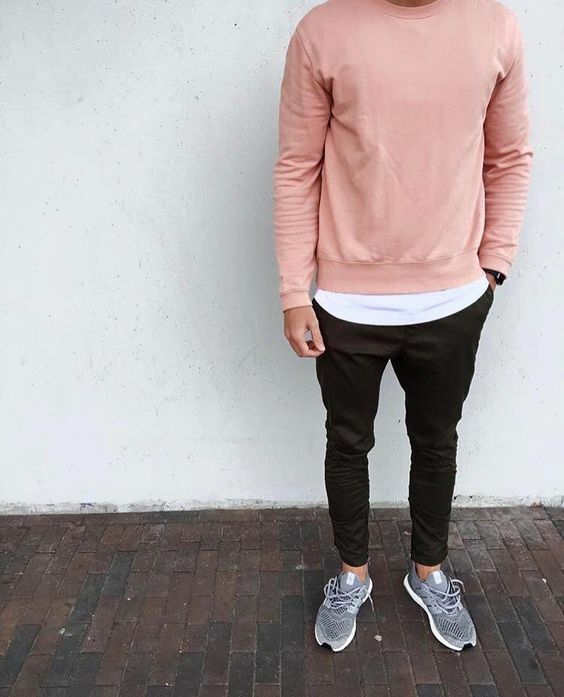 Pairing this style of pants with a casual outfit will take some of the “Is this office appropriate?” pressure off while leaving room to branch out into a trendy-meets-classic vibe. You know how I tell you guys to roll your pants up in at least one outfit every week? What if I told you I found a pair of pants that didn’t need to be cuffed, a pair of pants that already did the ridding of unnecessary fabric bunching, a pair of pants that coolly let your ankles breathe? Well, I did, and it’s the cropped trouser. That’s why it’s easy to incorporate in with your existing closet contents; you can wear it the same as any other pants, really! While it’s easy to see a cropped trouser and think, “Hey, that looks like when I had weird growth spurt in 7th grade,” it won’t look that way on if you’re wearing them right – a slightly tapered fit makes the crop look intentional. Not only will a cropped trouser visually lengthen your legs, but it also keeps you accountable for your #sockgame. SG Says: Rock your cropped trousers at work by mixing them with a modern band-collar and lace-up boots that ride the line between rugged and sophisticated. We love a heavy-duty cardigan sweater as a sport coat swap. SG Says: Experiment with pattern mixing by layering a color block sweater over a plaid shirt, and adding a-peek-of-pattern socks. SG Says: Not-so-basic basics in black help highlight bright accessories, without being boring on their own. Oh, and that souvenir jacket? Total statement maker. SG Says: Dress them down with cool weather favorites and fun socks. Ready to upgrade the trends in your closet? If you’re ready to embrace adulthood, but you dread the thought of shopping for it…why not let Team SG shop for you?